Do not just buy any leads to grow your business. Make sure you ask for leads that are specific to the kind of insurance you sell. Before you buy leads you need to ask yourself a lot of questions. This helps you focus what you want in terms of leads, leads with the potential to convert and build your business. If you sell final expense insurance or term insurance you do not want leads for group insurance. It’s all about knowing your market niche and making plans to work it smart. What do you need to know before you call to order leads? Some of the questions you should write down before you call and interview the lead company you want to work with are: Where do you get your leads from, how old are the leads, are they guaranteed to be accurate and do you have the time to follow up the leads in a timely and consistent manner? Where a lead generation company gets its leads to sell to you is a very important question for this reason, the best sources are those that have specifically expressed an interest in the type of insurance you sell – say Medicare or long-term disability. These exclusive leads may be more expensive, but they have a higher conversion rate. Make sure you do not get really old leads, which fall into the category of “cold” leads. There are several issues with old leads, not the least of which is the information may no longer be accurate, the individual(s) may not even recall requesting information and they may no longer be interested. Buying old, cold leads is a waste of time and money, even if they are inexpensive. These leads are usually sold and resold to multiple agents and the only one that makes money in that deal is the lead generation company. 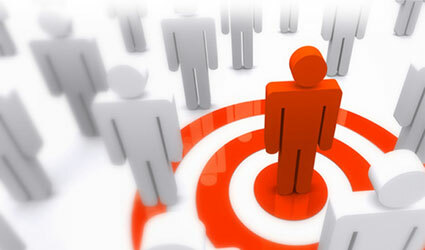 If you choose to buy exclusive leads, then ask if the lead generation company has a guarantee about their accuracy. Some companies do replace any leads that are not accurate. Since it is your marketing dollars being spent on exclusive leads, you want to know any duds will be replaced. Having said all that, make sure you have the time to follow up your leads. If you do not consistently follow up you run the risk of losing potential customers. Your business needs a continuous source of customers to grow. Do it the right way the first time.